Nashik was the first stop of my solo Maharashtra ride lasting 6 days and 1800 kms, it was also the only urban place other than Kalyan on that ride. Nashik is one of the venues for the Mahakumbh Mela where hundreds of millions of Hindus gather every twelfth year and bathe in the sacred river and cleanse themselves of their sins. 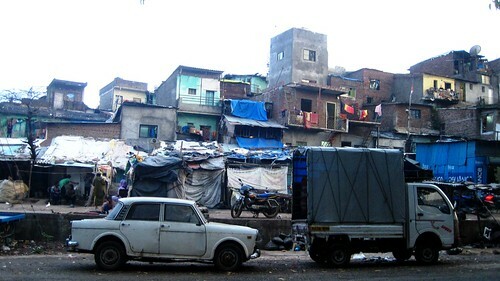 I reached Nashik by 5 pm and decided to visit some places before settling for the night. I rode to Delolali cantonment, of which (as usual) I knew nothing about. It houses sanatoriums, a Temple hill park, and army camps. I wandered around looking for the flying unit for gliding, which as I was told, is done through prior appointments or during special events. It was a small township otherwise, probably famous for it being a small hill station in the area. Next up was Panchvati and the site of the Mahakumbh Mela. If not in hundreds of millions, but the gathering that night was definitely in millions and chaotic. I was towed away by the crowd and was visiting all the temple sites and making rounds at religious places, before I even knew it. 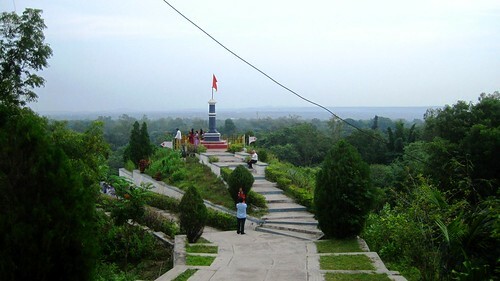 Sita Gumpha, the cave from where Lady Sita was abducted by Ravana, according to the mythology, was also in that area. 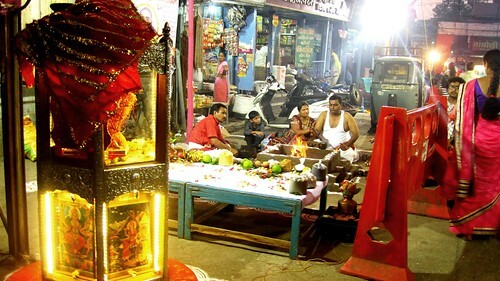 Nashik enjoys much footage in the Hindu mythology. It is said to be the abode of Lord Rama during his exile. It was also the place where Lakshamana cut off Surpanakha’s nose and hence it got the name Nashik (Nasika in Sanskrit meaning nose). 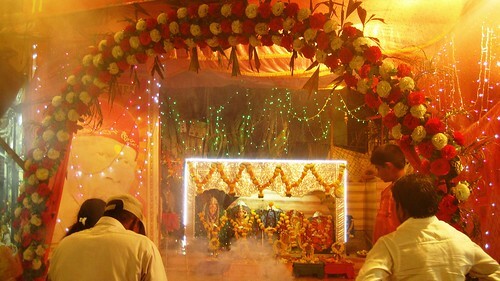 Amidst the hustling bustling crowd, several makeshift yajna kunds were placed around which people sat dressed in their dhotis and janeu, offering stuff into the sacred fire, while their pundits chanted away the shlokas. The dedication to get rid of their problems was so strong that nobody seemed bothered sitting by the side of the roads and carrying out the processions in public. All the fire, the havan saamagri and the incense sticks had smoked and scented the air intensely. Whether for good or bad, was left to the audience’s perception. The marketplace was overloaded with toys (for troubling accompanying kids), different sacred threads and other materials needed for worship. 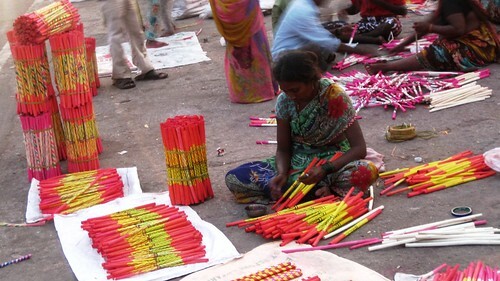 Ladies were selling ornamented dandiya sticks while their kids were walking around looking for alms. It had been a relief to breathe in some fresh air once I rode out of that place. But…little did I know my relief was to be short-lived. 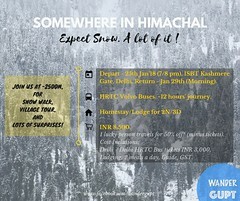 Looking for accommodation for the night, I was shocked to be denied a place as I had ridden solo from Hyderabad. Police and hotel staff questioned my identity and the reasons for my solo ride. Despite having produced all the documents, my luggage was checked, and my parents were called to reconfirm my identity. I had to comfort them till late in the night after having sheltered in a sub decent lodge. Such close mindedness is highly unwelcome and disappointing for solo travellers and Maharashtra can definitely work on that. Next day was a new day, a fresh one I decided, and continued my wandering from where I left off. I rode to Pandavleni caves in Nashik before heading forward to Trimbakeshwar. These caves are located on a hill and you have to climb up the stairs for around 20 mins to reach the site. Once up, you are also offered a good view of the city below. 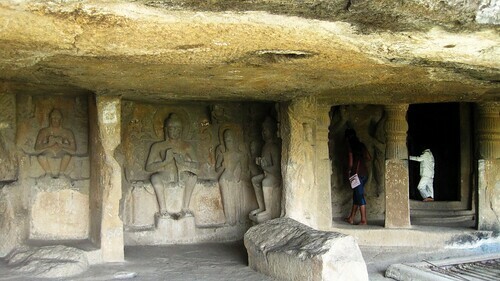 Carved between 3rd Century BC and 2nd Century AD, Pandavleni is a Buddhist site, a group of 24 caves, housing idols of Buddha and Boddhisatva. Some of these caves have large halls, where disciples used to meet and hear sermons. The carvings and inscriptions have survived all these ages, but sadly you would also sight many recently carved inscriptions by visitors declaring their loved ones’ names. Kids shouting in the prayer halls was a nuisance but their climbing the Buddha idol was an even more displeasing affair. Nashik was a blend of faith, rituals, Gods and caves but also of crazy cops and annoying people and beggars. Overall, I had been euphoric to leave Nashik but my happiness was again short-lived as I encountered super bad stretches en route Trimbakeshwar temple and a lot more bigoted crowd. The entrance is allowed only to Hindus and you would rather prefer paying extra for the VIP line for the darshan and head forward, al least that’s what I did. 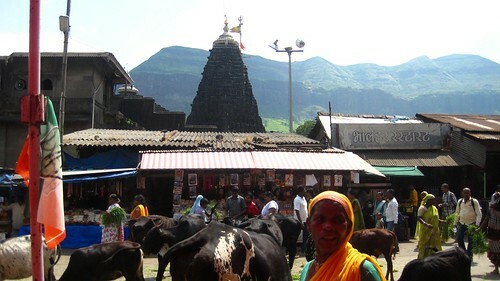 Trimbakeshwar temple has one of the 12 auspicious jyotirlingas, the manifestation of Lord Shiva. 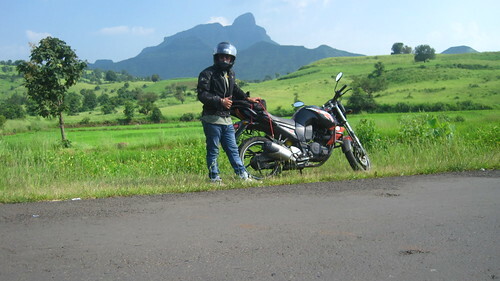 Trimbak is located at the foothills of Brahmagiri Mountains which I had been eyeing since I reached there. 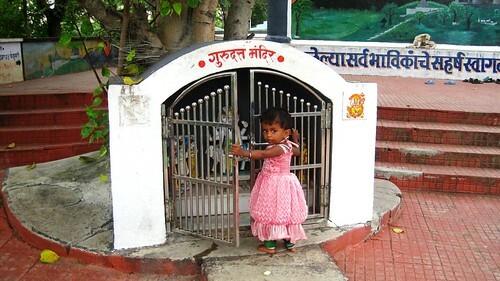 I made a run for them right after the temple darshan and found my much needed solace. Amazing narration with pictures complimenting well to the overall mood of the article. Glad I visited Jatin…indeed a wonderful and satisfying read !! Nice to see a post from you after a long time. Pictures are good. Nasik has some ancient temples worth visiting, but to be denied of an accommodation for night is not done. Hey Somali! Long time… yea, had been busy working things underground, lol. The story behind nomenclature of Nashik is interesting. 🙂 BTW, Panchvati was mentioned as a forest in Ramayana. Did you go into the forest? lovely account and beautiful pictures Jatin… reminded me of a Sunday a few years back, when my siblings and me just took off for a small drive in the morning and reached Nashik just baat karte karte… was a beautiful day in our life 🙂 thanks for sharing buddy…. Was it crowded when you went too? 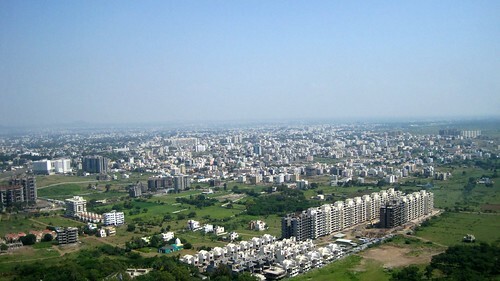 Good post about Nashik jatin. The religious presence & fast paced development in Nashik have made it to the top 16 fastest developing cities across the world. Enjoyed reading this travelogue! You’re writing after a long time, aren’t you? 🙂 I haven’t visited Nasik yet, so thank you for giving me a virtual peek into it through your lovely pictures. Interesting to read Moon’s comment above and your reply to it, about Panchavati no longer being a forest area. Keep writing, look forward to the next! Love love love this post. Great ride, great story and beautiful photos. Thank you for sharing. Temples, Yajnas, the preparations for it and cops. Quite eventful, I see. With terrorism looming large, everybody is looked at with suspicion and if it is a lone biker, I can imagine. I’m glad they let you go and you had another dream expedition.